When a construction site injury occurs, a number of different parties can be held liable for the injured employee’s injuries. 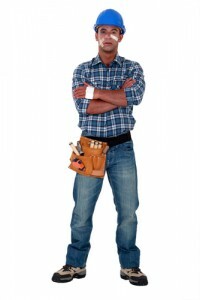 The owner of the construction site can be held liable for construction site injuries if it can be proven that the owner knew or should have reasonably known about an unsafe condition at the site. The contractors, including the general, sub and prime contractors, can be held liable for construction site injuries if they fail to adequately train employees, to warn employees about potential hazards at the site and/or to caution employees about any specific hazards associated with the work to be performed. Additionally, contractors can be held liable if it can be proven that they failed to abide by necessary safety regulations. Design professionals, such as the engineers or architects working on the project, can be liable for construction site injuries if their plans were not designed safely or up to legal codes. Equipment manufacturers can be held liable for construction injuries if it can be proven that the devices they designed and/or manufactured were inherently flawed, defective or otherwise unsafe. 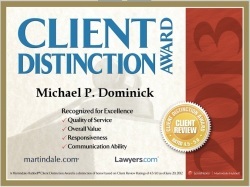 Because workers compensation claims can be complicated to file and get approved – and because there may be a number of parties that can be held liable for construction site injuries, it’s essential that injured construction workers contact the Colorado workers compensation lawyers at the Law Office of Michael P. Dominick. Our legal professionals have a proven track record of success when it comes to securing our Clients the maximum possible compensation for their injuries. For a thorough evaluation of your case, along with expert advice on the best manner in which to move forward, call us at (303) 447-2644.